This week I presented at ILA2018 (here is the link to my poster presentation: “Write 4 Change”: Cultivating Autonomous, Global EFL Learners through Blogging). The conference highlight for me was the intersectionality workshop presented by Quenby Hoffman Aoki, JALT GALE SIG‘s coordinator. In her interactive workshop, Quenby first defined intersectionality, and then the participants discussed their experiences and engaged in several activities which can be applied in language classrooms. Although everyone has both privilege and challenge, intersectionality is ultimately about social justice! Intersectionality was a lived reality before it became a term. Intersectionality is not just about identities but about the institutions that use identity to exclude and privilege. The better we understand how identities and power work together from one context to another, the less likely our movements for change are to fracture. Others accuse intersectionality of being too theoretical, of being “all talk and no action.” To that I say we’ve been “talking” about racial equality since the era of slavery and we’re still not even close to realizing it. Instead of blaming the voices that highlight problems, we need to examine the structures of power that so successfully resist change. Small groups discuss current text or topic. Each group writes one comment or sentence on the board. Then, for homework students choose one of the comments for a short essay. At the bottom of their essays, each student writes one further question, to be discussed in the next class. For example: Not all women are emotional, and not all men are logical. 8 to 10 controversial sentences related to current class topic (you can see a sample below), with a horizontal line (strongly disagree to strongly agree). Tape on wall around classroom. Students walk around and put their mark on the line. Afterwards, discuss the results. Follow up with an essay assignment. Note: “Privilege and Challenge” Walk has been criticized and I need to read more about it and learn how to make it better. I recently talked to Maha Bali about the activity and she believes that role play is better than making a line to do the activity. List the three that you think are most important. Are there any of the above categories that you do not relate to or think about much? Which of your identities do you think others judge you by the most? Which carry the most privilege or challenge? Bonus ** Which of them are social constructs? Examine an interaction you have had recently. Consider how the situation might have been different if you change one aspect of your identity? I won the JALT GALE Professional Development Scholarship 2018 and had the chance to present at GALE Forum: “Equality Across Borders” which examined issues related to gender and identity both within Japan and globally. My colleague, Elisabeth Fernandes, and I explored the theme of debunking stereotypes of Middle Eastern Women. We are both teaching English in the Japanese university context. We first shared our personal narratives focusing on Iran, my homeland, and Pakistan, which Elisabeth visited. We then talked about our collaboration in our English classrooms to dispel stereotypes about Middle Eastern women. We introduced our projects (e.g., “I Am More Than A Stereotype: Meet An Iranian Woman”, “Exploring Stereotypes”, and “Write4Change”) aimed at helping our learners reflect upon these existing stereotypes, and the impact of these misconceptions on attitudes towards the identity of these women. We also discussed how technology helps us fulfill our goals of challenging stereotypes. Diversity and Inclusion: Before coming to Japan, I had no idea what they mean! After experiencing exclusion and feeling marginalized, I am gradually getting to know these terms. ELT people in Japan have felt that there is a need to talk about diversity and inclusion and probably this is why the theme of JALT2018 is “Diversity and Inclusion”. It is worth noting that the theme of SIETAR Japan 2017 was “Promoting Equity and Social Change: Acknowledging the Diversity Within”. “To everything there is a season.” And a reason. Now is the season for inclusion, to embrace the incredible diversity within our profession. Although there seems to be much diversion, division, and exclusion in the wider world, the time is now ripe for us to look at the diversity within our practices and ask, “How can we be more inclusive?” In order to support inclusion and create a more level playing field for our students, we need to better understand the evolving language learning and teaching landscape, become aware of the work that is being done in new areas and heed the call from our learners, teachers, and institutions to play our parts in a brighter future. JALT2018 will provide a platform for new ideas and hitherto unheard voices to be heard. It will provide avenues to open up our classrooms and challenge existing ideas about what we language teachers and our learners need in order to usher in an era of change. We aim to address the concerns of teachers, learners, and leaders and show how “inclusion” provides a place from which multiplicity of thought and action can flourish. Is ‘exclusion’ a problem among JALT members that needs to be addressed? I must be confused. 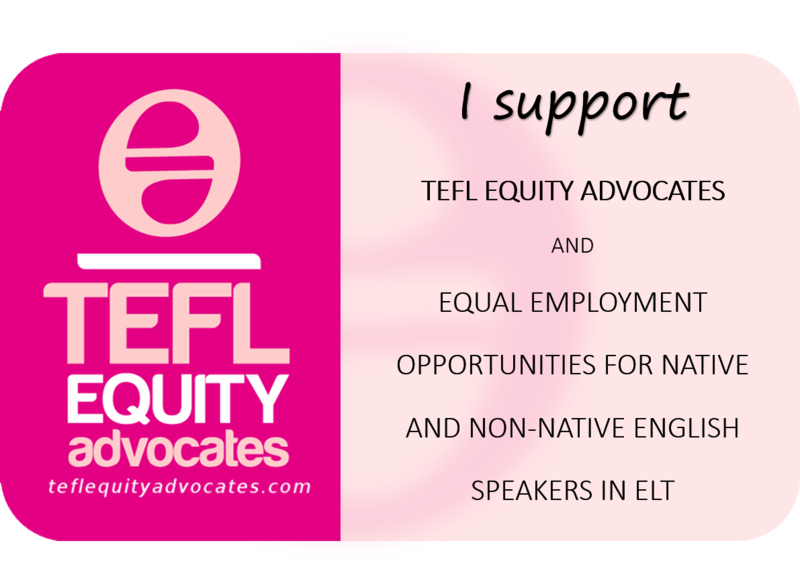 What does diversity and inclusion have to do with teaching English? Inclusion is a complex notion. I wonder what it means to everyone. It is obviously more than just being “included in a group”, with a lot of politics attached. Is it equality as well? Is it oriented to inclusion of minorities and removing discrimination? Would this inclusion and diversity you speak of be extended to those who are skeptical of the leftist / Marxist / post-modern conceptual framework on which the conference is based. This is a sincere question. These questions encouraged me to do a deep research and find some information about diversity and inclusion. Maha Bali’s blog post, Unpacking terms around equity, power and privilege, and podcast, Complicating diversity and inclusion hosted by Greg Curran, were the best resources to start with. I read her blog post three times and listened to her podcast twice. I paused the podcast and went back and forth many times. Everyone who is a minority in some way at some point in their life becomes conscious of oppression hopefully if they are educated and they start to open their eyes. If you are in that situation and it is happening to you all the time, you start noticing it, and then you realize that it is actually intersectional. How many times have you heard someone in your professional or personal circles say that they are “colorblind” or “don’t see color?” Or that “color doesn’t matter” to them? On the surface, these statements seem innocuous. And in a society where much history has been marked with painful recollections of racial tension, injustice, and discrimination, wounds that in many cases are still tender, it is easy to see why the term prevails. Talking about color isn’t easy, and so, in many cases, we don’t. It is even more bizarre to conclude that we can be “colorblind” in this day of Facebook, LinkedIn, Instagram, and the like. In this “selfie generation,” color is often the first (and hopefully not the last) detail that we see. Diversity begins with color consciousness, or critical awareness of race and racism. However, awareness of and valuing diversity are not sufficient to achieve it. Assuming that diverse persons will be attracted to an institution simply because of its excellence or because it values diversity is a passive approach that is unlikely to diversify an institution. Proactive and ongoing efforts toward inclusion and equity are necessary to create and sustain diversity. A lot of times we talk about diversity or we bring a different person but that does not take into account the complexity of how that different person will fit into the structures that already exist and a lot of times those structures are not modified to support the inclusion. A lot of times diversity is tokenistic and it is just bringing a different person to look like we have the person but then it does not take into account the complexities why it is difficult for that person to be there in the first place, and once they are there, how to make sure that when they are there their voices are understood not just heard. Diversity is a “nice” term for the dominant to use, and it implies that just having different people with different backgrounds is a desirable thing, because it benefits everyone, including the dominant. The problem with the term diversity is that it removes power from the equation. The trickier thing is recognizing that diversity is HARD WORK if you want to do it right. Because integrating people who are different from the dominant majority/perspective is not a matter of plunging them in and expecting it all to work out. There will be tension. There needs to be intentional effort to make this work. To make the voices exist alongside each other, when in reality, having a couple of “diverse” voices in a sea of dominance does nothing to challenge the status quo. ♦ It implies there is a thing that belongs to certain people, and they’re being generous by including others into it, by letting others in. ♦ When I “include” someone, I include them on my own terms, and that’s not the epitome of empowerment. Inclusivity is better than not inclusivity, right? But inclusivity is not empowerment. ♦ You involve people but you keep doing things exactly the same as you have been doing it before. That is not really solving the problem. ♦ When you include one person who is different from everybody else, that does not help. But if you have the diversity of diverse people, that becomes different. As a Muslim who has lived in the US and UK, I don’t have a lot of instances of people discriminating me, but when it happens, it is deep because it is not that one incident. There is a lot more behind it. There is background to that feeling. You as an individual are not problematic. Even marginal people together can silence each other, for example, by not being willing to speak up about certain things.